Russell Boring PA, Attorney at Law is a sharp and experienced legal mind working hard for you. Practicing law in the St. Pete Beach, Tampa-St. Petersburg, Florida area since 2000. 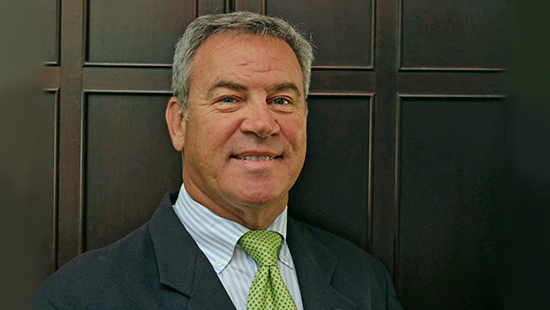 Russ is a lawyer focusing on Estate Planning, Asset Protection, and Probate. A licensed attorney since 1990, originally from California, he has been practicing law in Florida’s Greater Tampa Bay since 2000. Russell’s practice focuses on Estate Planning, Asset Protection, and Probate. A graduate of the University of the Pacific, McGeorge School of Law, Sacramento, California, J.D., 1989, Dean’s List and a Bachelor’s Degree in History from Santa Clara University, Santa Clara California, 1983, Dean’s Honor Roll. Over 27 years experience and award winning legal services. 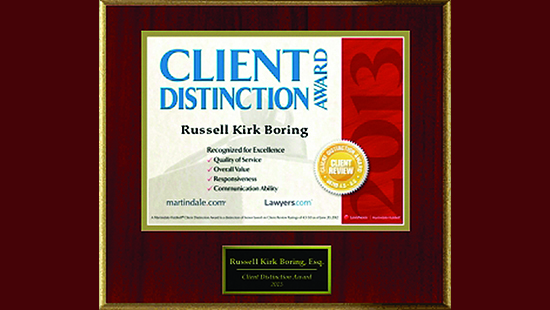 Russell Boring was bestowed the Client Distinction Award, the Martindale-Hubbell® honor of distinction for: Communications Ability, Responsiveness, Quality of Service, and Value for Money. Do you and your loved ones have “all their ducks in a row?” It can be devastating to discover that the good intentions and promises of gifts of a dearly departed family member are ignored and unenforceable by the Probate court unless in a properly drafted document. While Estate Planning is often as simple as having a valid Last Will and Testament, it can also accomplish many other goals. Through various, informed Estate Planning techniques, you can provide for your family’s future while also protecting its assets. I strive for solid working relationships with my clients in our goal to achieve successful outcomes. Email Attorney Boring or call 727-800-2440 for more information or a free consultation.